Content .. 24 25 26 27 ..
1. Remove front door glass. 2. 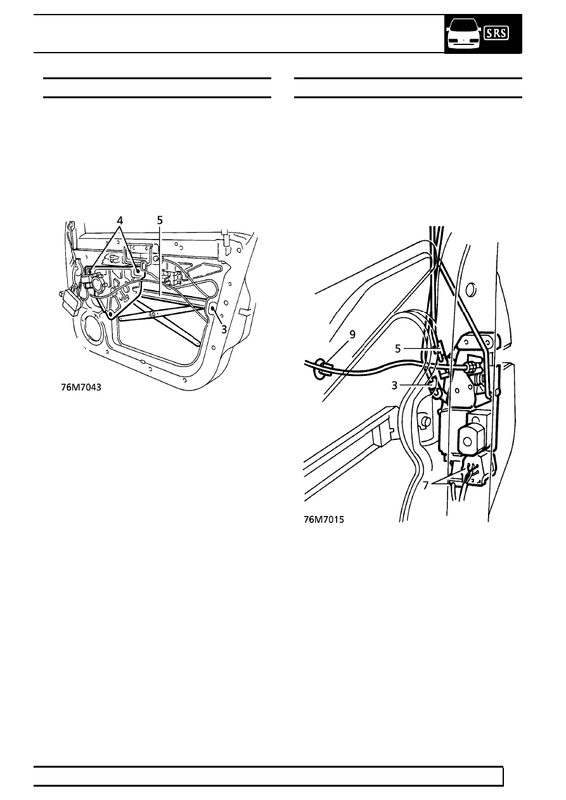 Disconnect window lift motor harness connector. 1. Remove front door trim casing. 2. Release rear of plastic sheet. operating rod, at latch end. 4. Release control rod from latch. 6. Release control rod from latch. 7. Disconnect 2 latch motor multiplugs. 8. 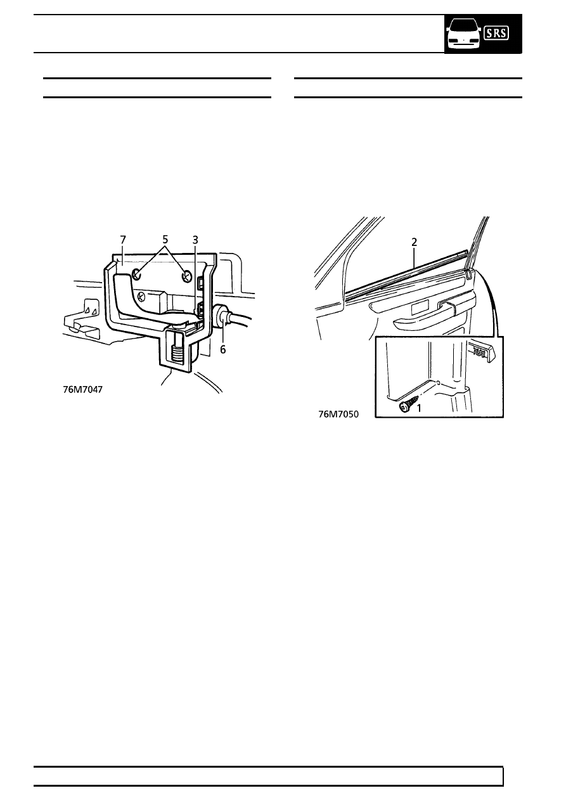 Remove door sill button from operating rod. 10. Remove 3 screws securing latch. 11. Release latch from door. 12. 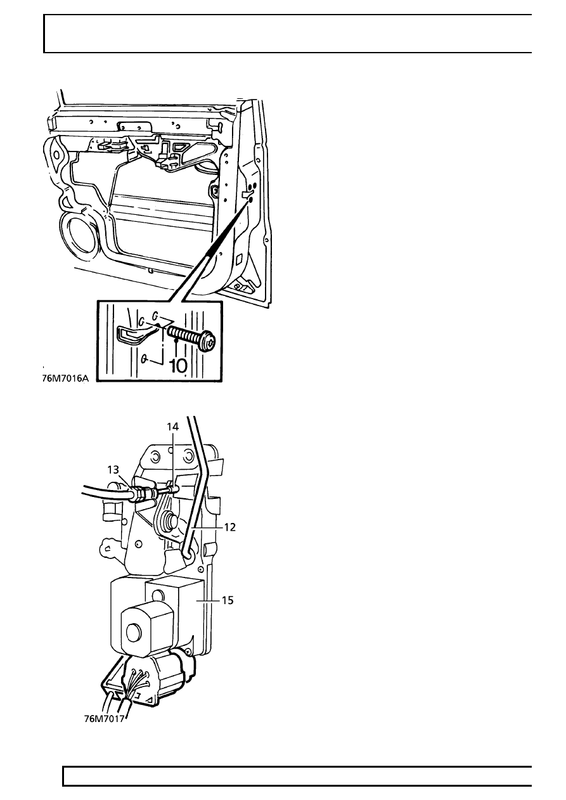 Remove sill button operating rod from latch. 14. Release inner cable from latch. 15. Remove latch from door. 17. Fit inner operating cable to latch. 18. Fit outer operating cable to latch abutment. 19. Fit sill button operating rod to latch. 20. Align latch to door, tighten 3 screws. 21. Secure remote handle cable to door panel clip. 22. Fit sill button to operating rod. 23. Reconnect 2 latch motor multiplugs. 24. Fit outside handle operating rod to latch. 26. Fit private lock operating rod to latch. 29. Fit front door trim casing. 2. Release top rear corner of plastic sheet. 5. Remove 2 screws securing remote handle. 6. Remove outer cable from housing. 7. Remove remote by sliding rearwards. 2. Remove outer waist seal. 2. Release rear half of plastic sheet. 4. 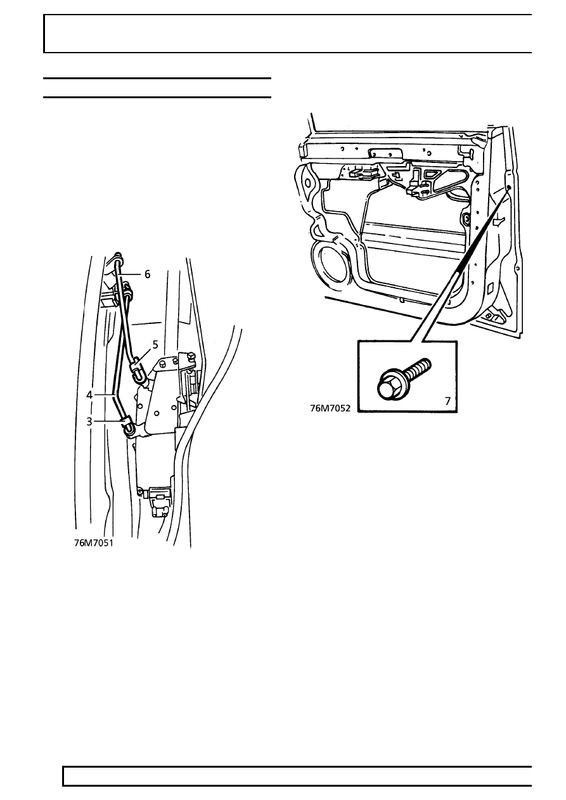 Remove control rod from latch and private lock. 7. Remove bolt securing rear of outside handle. release rear of handle from door.